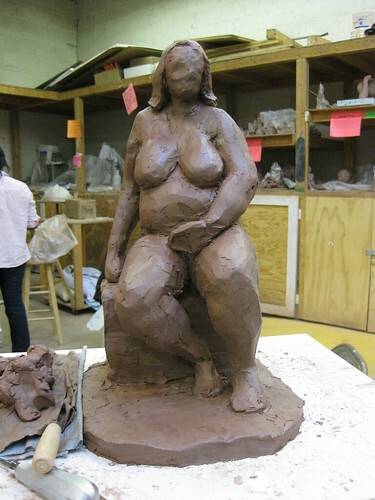 Here is the current work from the sculpture class I am taking from Rick Weaver. 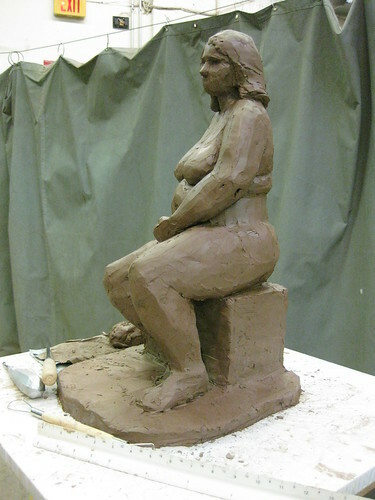 We are working on a seated figure and so far it has been a great learning experience. 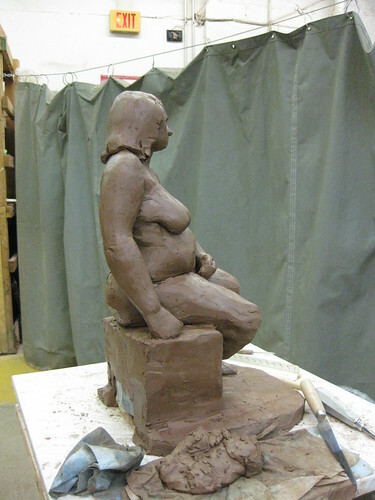 It is a lot more difficult than the bust we completed earlier this term, in that it requires so much more attention to proportions and the interconnections of the various forms and features. 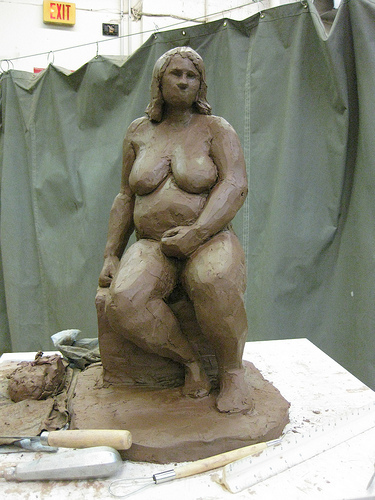 Previously I had focused on really establishing the base and lower portion of the body, her legs mainly, and yesterday's class was mainly focused on getting the torso and arms correct in proportion to everything else. 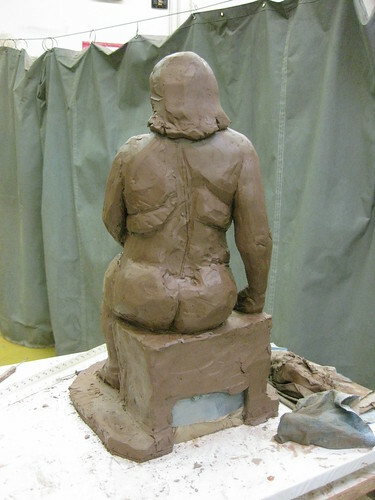 The sculpture's head had to be enlarged some because it was a little too small and this was affecting how the torso was being built up. So after getting the head size correct, I had a benchmark to then work on getting the heft that is in the chest, shoulder, and arms. In doing this, it then became apparent that the back and waist needed to be altered, that had to wait because class ended before getting to that area. There still seems to be a lot more to do and there is only one more class this term. Next week will be busy!